Nearly 30 demonstrators, including a survivor of the Rana Plaza building collapse, were arrested (12.3.15) after organizing a peaceful protest at Children’s Place headquarters in New Jersey. The protestors were there to ask the company to pay compensation to victims of the Rana Plaza factory collapse, the deadliest disaster in the history of the garment industry. 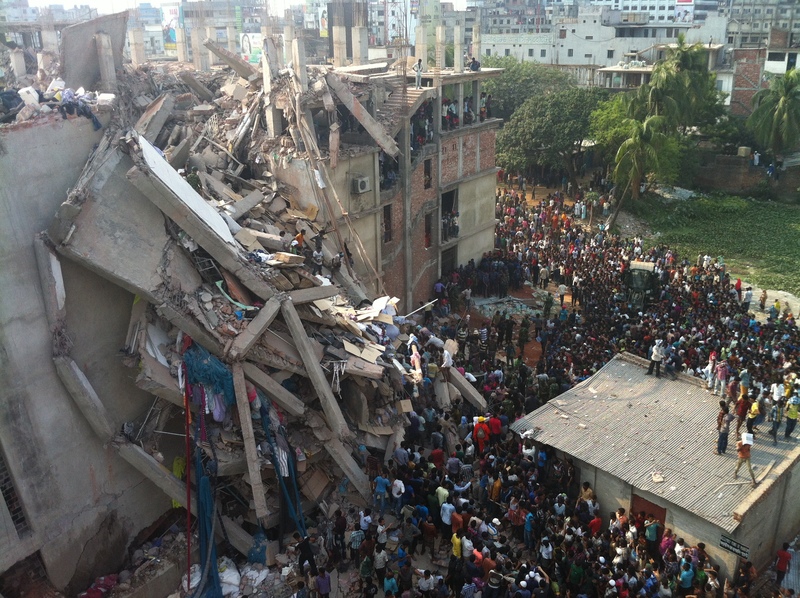 Children’s Place was one of the major brands sourcing from Rana Plaza at the time that it collapsed, killing 1,138 workers and injuring another 2,500. 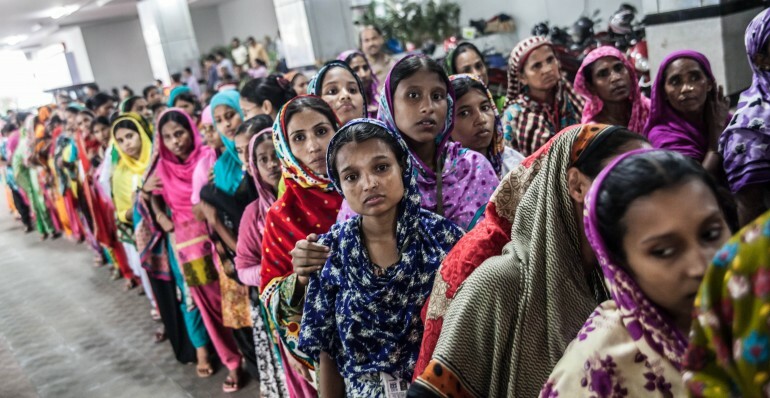 18-year-old Mahinur Begum, a former garment worker who was nearly killed in the collapse, was at Children’s Place to demand full and fair compensation for herself and her coworkers. Rather than listen to this brave survivor and her colleagues, Children’s Place called police and had the peaceful demonstrators arrested. It is the latest callous act from a company that has refused to take responsibility for the deplorable human rights violations occurring in its supply chain. 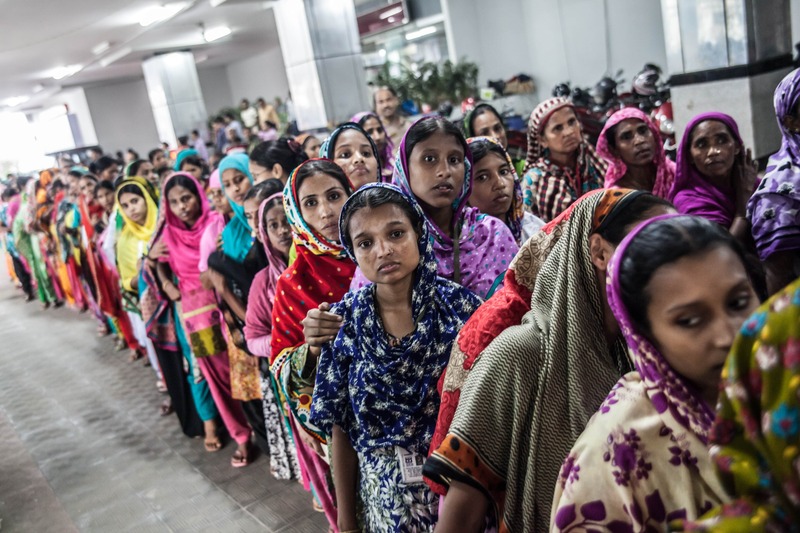 It has contributed a mere $450,000 to the Rana Plaza Donors Trust Fund, 15 times less than what companies of similar size and level of purchasing from Rana Plaza have paid into the fund. The $8 million demonstrators asked Children’s Place to contribute is half the salary CEO Jane Elfers earned in 2012. Children’s Place’s continued refusal to pay the $8 million it owes Rana Plaza victims is corporate greed, plain and simple. And now it’s trying to silence criticism rather than do the right thing for Mahinur and her coworkers. Your support is vital to call for Children’s Place’s to pay the $8 million it owes Rana Plaza victim. Please sign the petition here.